Hi I am new here, and I have started to wonder, if I am the only one interested in Indan weapons? Here is an Adya Katti with the seal of Coorg. I'm fond of tulwars, but don't know much about other weapons of Indian origin except a little about katars. That Adya Katti thing is pretty nice though; very mean looking. I expect there are lots of people here interested. I am, but I have very little knowledge, beyond that some of their work is stunning (to judge from the Wallace collection) and that Katars are a fascinating idea. That weapon, photographed above, is absolutely stunning. Can you give me an impression of its size? How long is that piece? I have no point of reference to really judge. Sorry I wrote in the wrong place. The whole Adya Katti is 55 cm, the blade is 42 cm and the broadest part it is 10.5 cm. See also Stone's A Glossary, Moplah Knives page 454 and 456. Coorg is a small state on the West coast if India North of Malabar. These region was colonial Muslim strongholds, dominated by Tipu Sultan at the end of 18th Century. Coorg is anglicized corruption of Kodagu, which is said to come from the Kanarese Kudu, ’steep’ or ’hilly’. Coorg came under British rule in 1834, and twenty years later the magistrate wanted to stop the constant attacks by the Mapillas (local dialect for Muslims) against non-Muslims. 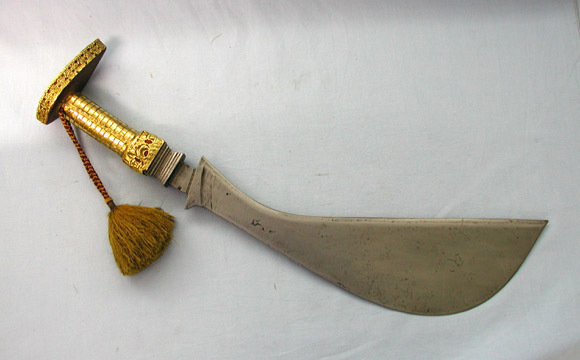 The weapons the Muslims used, known as 'ayudha katti' (=war knife) or Konunga Katti (=curved knife), were outlawed. After another violent outbreak in 1884 more than 15000 knives were confiscated and most of them dumped in the sea, only a small number of selected knives were permitted to go into museums. I have only seen four Adya Kattis, and in all fourth are the seal of Coorg. In two it is stamped into the steel and in the two others the seal is inlaid in silver. 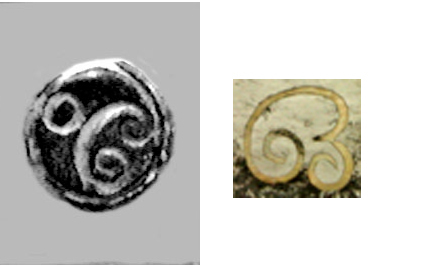 The strange thing is, that the stamped seals look alike, but they are different from the inlaid once. See the picture below. The stamped seal is 0.5 cm. Threy have some nice looking Indian pieces , including a Katti, never delt with them though ? I know of them, but I have never dealt with them. From what I can see, they have a Pichangatti and a Molaph knife, of interest to this discussion. Hi Jens. Nice to see you here. I continue to be impressed by your collection every time I see another piece. Thanks for sharing! That Adya is really beautiful. As usual, I've little to add to the information provided by Jens. Of interest, however, is that these knives/swords do not have scabbards. Instead, they utilize an ingeneous suspension system integrated into a belt. Mac, Stefan from Ashoka is a nice guy to deal with. I've purchased several pieces from him, and I'm, generally, pleased with his offerings. Thank's you for your welcome. 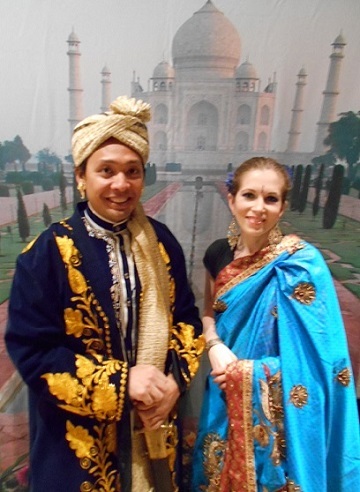 It seems to me theat there should be some more Indian things shown here so I will try. After a long time I have started to write here again. I do have a new comment on the mark of the Adya Katti's, the mark on the blade is not the mark of the ruler or anyones mark - the mark is the mark of 'OM' - the Universial sound. I have not seen it on weapons from anywhere in India before - so it is unique. 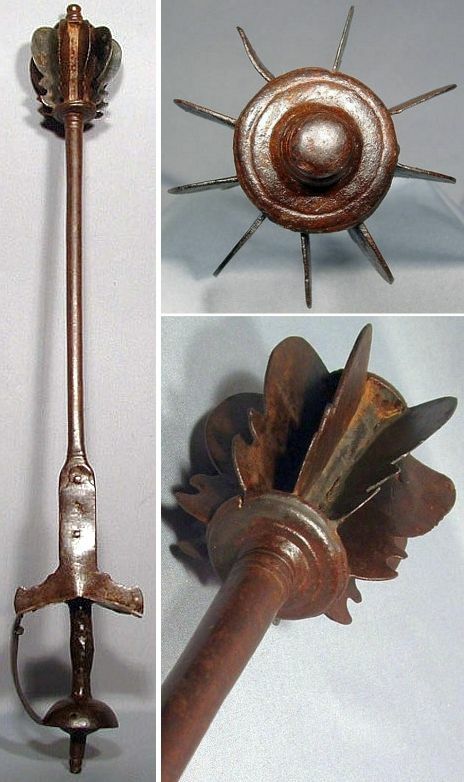 Indian weapons are very interesting. Many have a combination of functionality and elegance. More pics please. I agree with J. Padgett. I am also interested in Indian weapons especially tulwars. I'm with Dan and Shahril--Indian weapons are fascinating. My brain is a little full with Japanese, Ancient and European blades right now, but I have long thought tulwars and katars are wonderful also. Some great daggers--khanjars and kards. Such diversity and finesse. Please more pics! Indian haladie (double bladed dagger) from the Rajput warriors of India. All steel forged construction including the handle, with two double edged blades and a knuckle guard. The knuckle guard would have had a third small straight blade sticking out, but it is missing with only an attachment hole remaining. 26" overall with two 10 1/2" Blades. 19th century or earlier. Sweet. I'm always interested in regional weaponry. Do you happen to have sources on how to use some of these? Getting a picture seems only half the story behind them. Two of my Indian swords with matching kits and friends. Here is a good example of Indian weapons being used. I'll be watching YouTube for a while it looks like. for me, the talwar is pretty cool but for me its the unusual pole arms that i like. 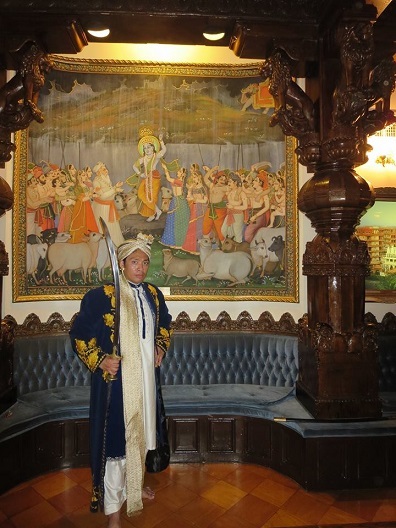 I like Indian maces, no other country had as many different types. 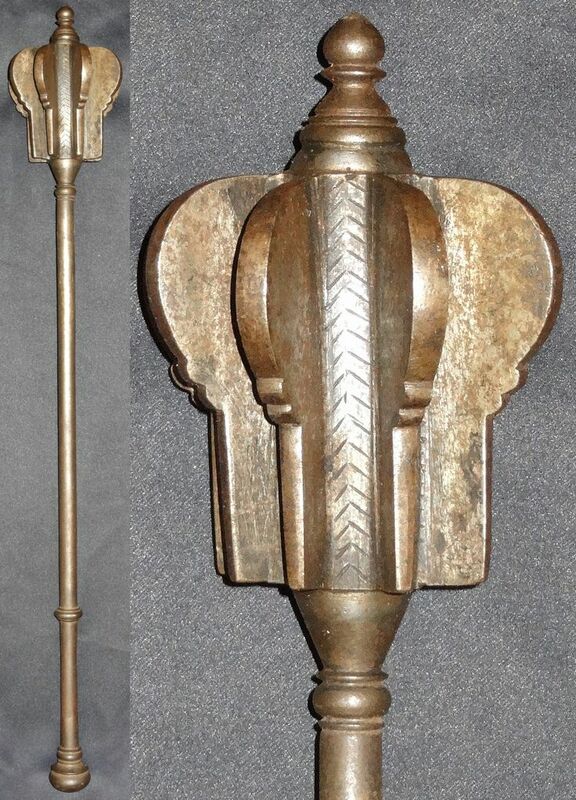 Indian (mughal) shishpar (flanged mace), 17th century, made entirely of steel, head formed of nine flanges, below a domed finial, and a cylindrical haft with a Khanda sword type basket hilt. Overall length: 79 cm (31 in).